Coffee lovers, rejoice: Your wallet is getting a rest. 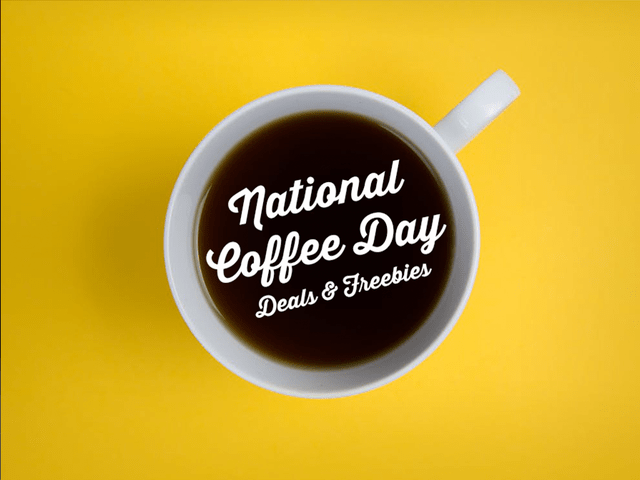 On Sept. 29, various java chains across the country will celebrate “National Coffee Day” by giving out free (or discounted) cups of joe to mark the occasion. Baskin Robbins: No free drinks here, but the ice cream chain is offering a small Cappuccino Blast blended coffee for $2.99 through October. Cinnabon: Stop by any location for a free 12 oz. coffee on the 29th, no purchase necessary. Dunkin’ Donuts: Dunkin’ is giving away a free medium hot coffee to any customers who purchase a medium, large or extra-large cup of the brand’s signature hot blend at participating locations. McDonald’s: While you’re going to have to pay for your brews at Mickey D’s, the fast food giant is currently offering any small McCafé drink for just $2 in conjunction with their national redesign efforts for the espresso line, which includes cappuccinos, caramel macchiato and Americanos. Pilot Flying J: The travel center will give away small coffees, cappuccinos and teas at participating locations for free on the holiday.